ArchitectPatrick McClernon Architects Planners P.A. Located in Albuquerque, New Mexico, renowned college preparatory school, Albuquerque Academy, is a private co-educational school for grades six through 12. As one of the most respected educational institutions in New Mexico, the Academy was founded in 1955 and the campus consists of 19 facilities situated on 312 acres near the foothills of the Sandia Mountains. In 1997, the team of Counsilman-Hunsaker and Patrick McClernon Architects Planners P.A. 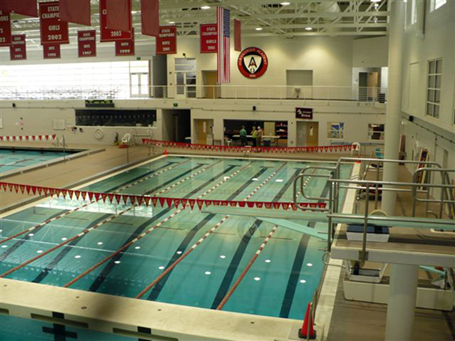 was retained to design an aquatics venue for the Barney Natatorium.